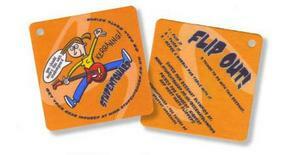 Thirstys.co.uk Limited Are Leaders in Manufacture and Design of Custom, Designer Beermats And Drinks Coasters. Thirstys.co.uk is a treasure chest of ideas and designs for your company to use. With over 25 years of experince in the manufacture and design of beermats for the UK, Ireland and South Africa martket Thirstys.co.uk have amassed a vast selection of new and unique beemat designs to help get your message across. Our website has a selection of these ideas displayed to give your imagination a push but it`s your own ideas that give your message the impact that is needed. It is the message itself that turns the plain white beermat into a beermat with personality we are the people who put the message in place and make it look good. Visit Thirstys.co.uk to get your creative juices flowing and your marketing ideas rolling. But who advertises on Beermats and Why Thirstys.co.uk? For those of you who have never considered beermats as a form of advertising or are considerering your first foray into this way of putting your message across then you can relax in the knowledge that when you make the move you will be keeping good company. Our beermats have been used many different messages including police issues and crime prevention, recruitment drives, religious and political issues, TV/radio and films. Some of the advertisments even make it to the national press with the waves the form such as The Methodist Church drive to attract more young people to their congregations. Now you know you won`t be alone we can assure you that the staff at Thirstys.co.uk will be attentive and friendly to all clients and potential clients but above all they are highly knowledgeable about the benefits of advertising on beermats and can answer all your questions and queries, just give us a call. There are only a handful of printers, world-wide, who will print directly onto such a thick and absorbent substrate ... it's a specialised field and you've gotta know what you're doing!